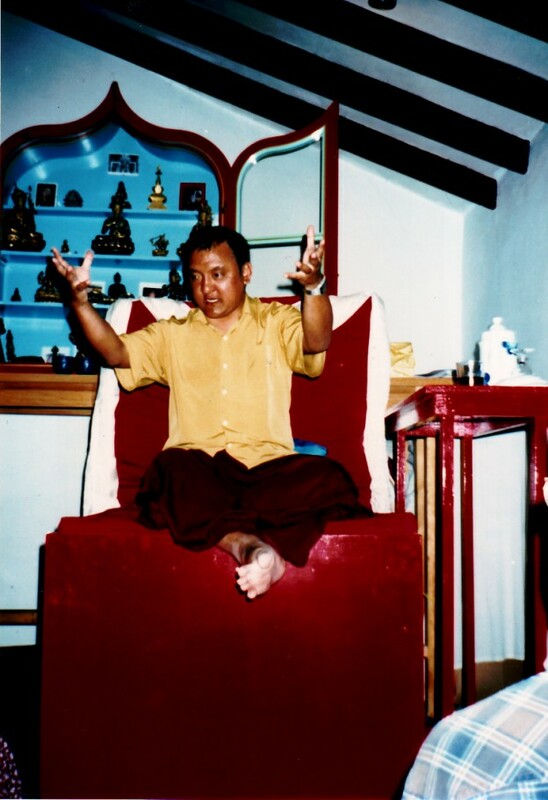 In the early 1990es, we were blessed by Shamar Rinpoche’s unannounced, informal visit to Karma Guen. After seeing the future stupa sight and the surroundings of the Center, he did prayers in our tiny meditation hall and gave us a teaching on the Dharma. This entry was posted in Memories on June 14, 2014 by Fidel Kreuzer.